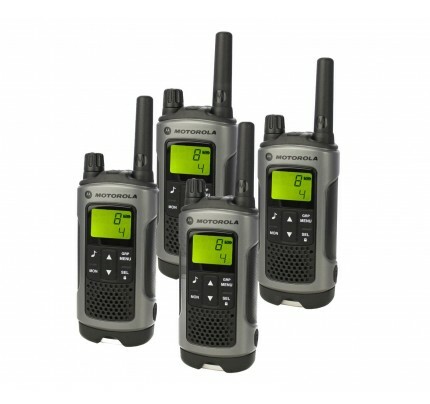 Offering a range of up to ten kilometres, these rechargeable two-way radios feature durable and splash-proof exteriors making them perfect for outdoor use even when the weather conditions are not the best. This pair of radios uses the PMR446 license-free broadcasting range, while multiple channel combinations allow you to hold your conversations in privacy. 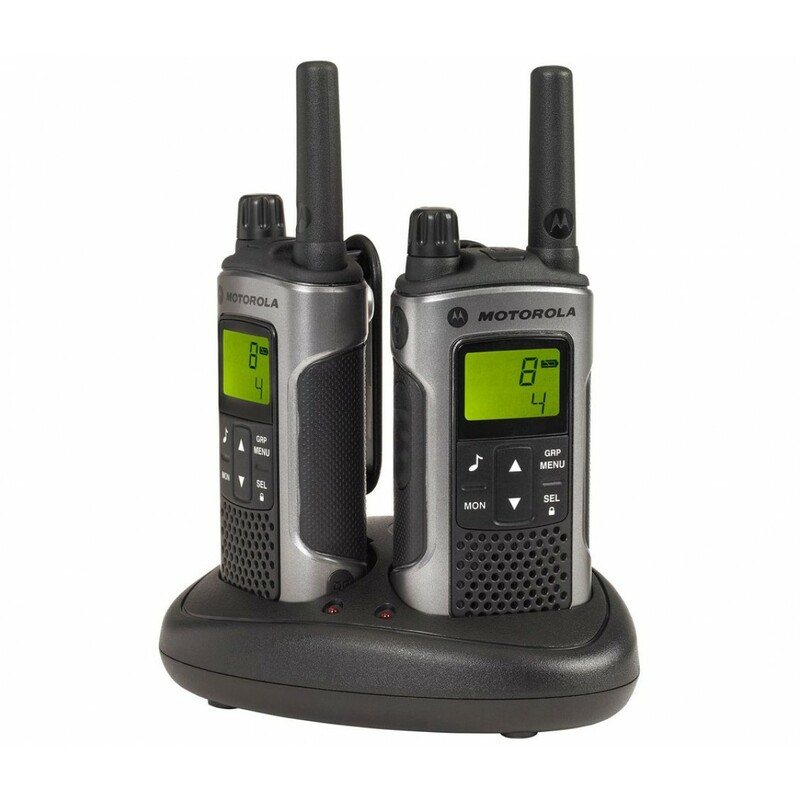 Designed with performance and reliability in mind, the Motorola TLKR T80 radios are equipped with rechargeable NiMH batteries. Also provided is a dual-charging dock, allowing you to charge both radios at the same time. On a single charge, the handsets should provide enough battery power for a full day of use. In ideal weather and topographical conditions, the radios also provide an impressively long range, even in built-up areas. 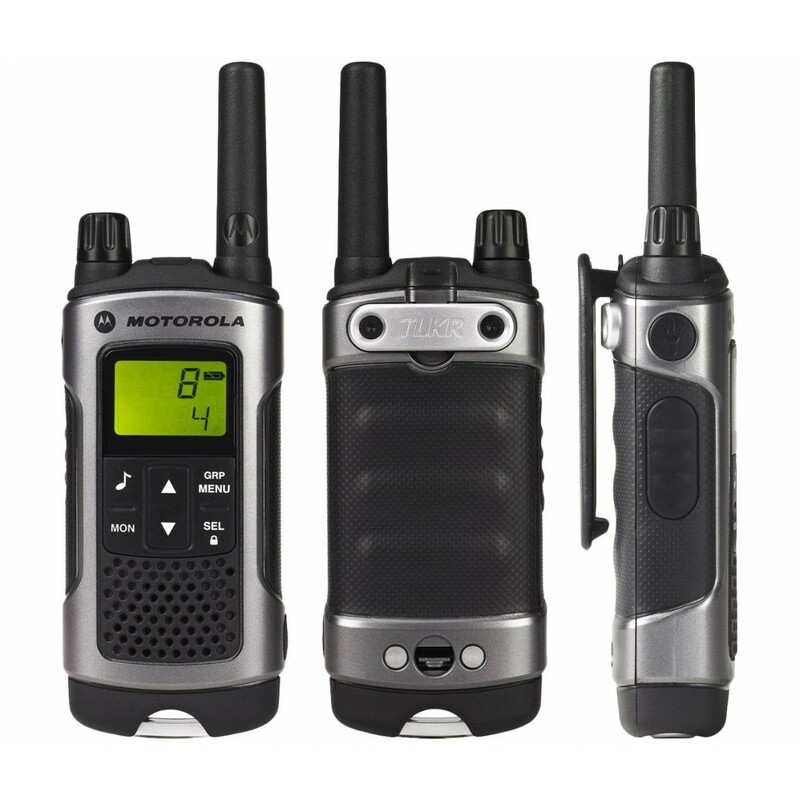 Winner of the Red Dot Design Award in 2013, the Motorola TLKR T80 radio features a stylish and durable build providing you with a dependable way to keep in touch during your outdoor trips. With intuitive controls, the handsets are also equipped with small, backlit LCD displays for showing important information such as battery level and channel selection. Using the display and simple keypad, you can easily make use of the automatic channel scanning feature, set group channels and more. Providing a completely free way to keep in touch, the Motorola TLKR T80 offers a number of additional value-adding features including a vibrant LED torch, 10 calling tones to choose from, a headset connector for hands-free communication and the ability to choose from 8 channels and 121 codes. 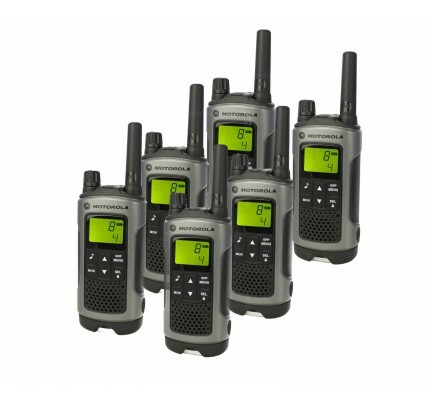 A stylish and high-end product designed for outdoor enthusiasts as well as business users, the Motorola TLKR T80 two-way radios are rich in features and sport toughened, splash- and dust-proof ergonomic covers. 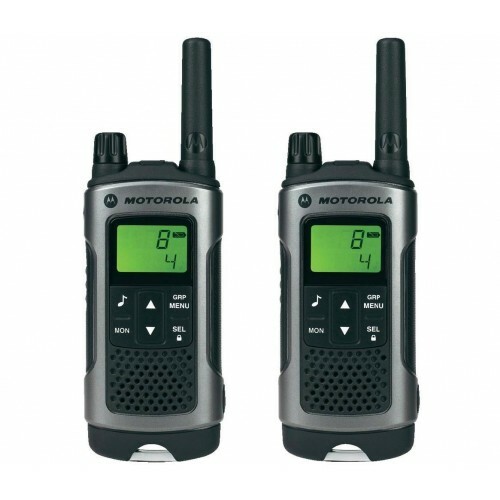 These are an excellent set of rechargeable two-way radios from Motorola. Sound is reliably clear over a good distance, and the handsets are well-built units. Easy to use and fair price for a decent rechargeable set. Battery life is excellent by the way. Highly recommend.